Yakushima inspired, Island Stories is jazz fused with nature. Sax, flute, guitar, birds, insects and the elements are interwoven to create 12 instrumental stories. 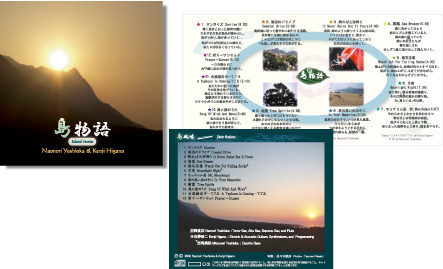 All original compositions are by Yakushima-based artists.